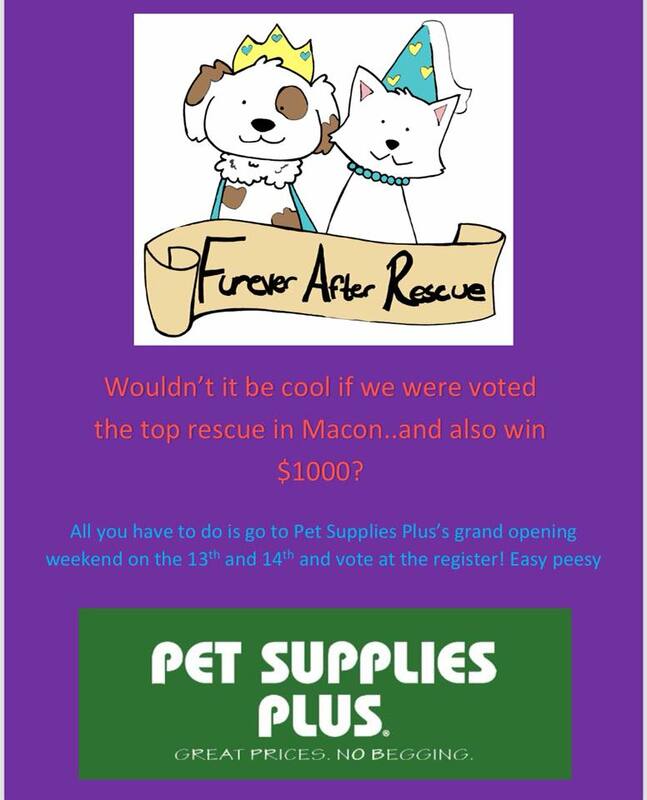 Furever After Rescue is a 501(c)(3) non-profit, licensed rescue located in Georgia looking for 'furever' homes for our furry friends. 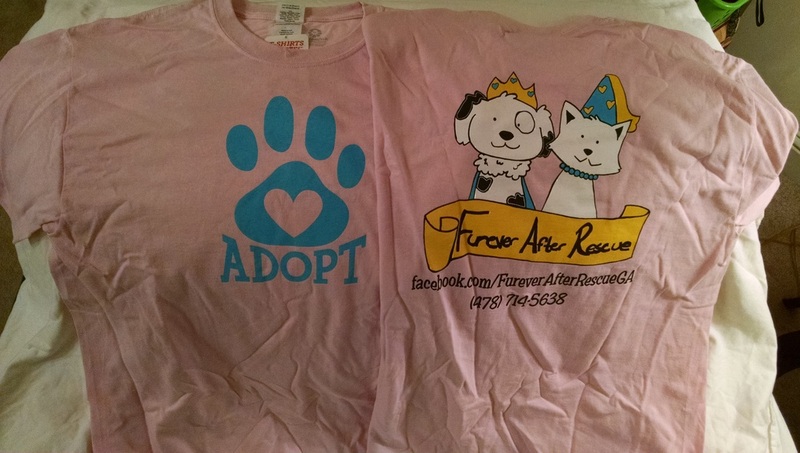 Furever After Rescue, a 501(c)(3) organization, is a no-kill, foster-based rescue devoted to finding homes for animals needing a loving family. Most of our animals come from local, high-kill shelters with some occasionally coming from bad situations and owner surrender. Our animals are immediately placed in foster homes where they learn love and are taught how to live in a home environment. All of our animals are up-to-date on their age-appropriate vetting needs and are tested for personality traits as best as possible. We have many wonderful pets looking for forever homes so please browse our website, Facebook, AdoptaPet, or PetFinder page and contact us to add a new furry member to your family! We have so many wonderful puppies and dogs looking for their happy endings! 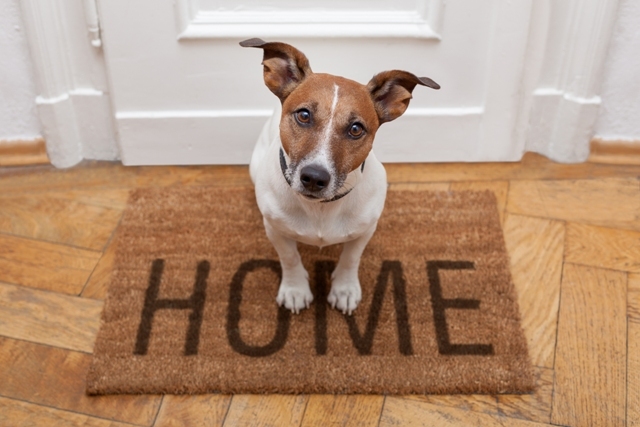 Please click the link above to see what we have available and find that furry family member for your home! Click on the link above to if you are looking to adopt outside the state of Georgia or found a dog/puppy you are interested in advertised from our rescue in another area. 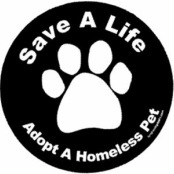 There are many ways to help our rescue; adopting is only one! Check out our foster and volunteer opportunities as well. 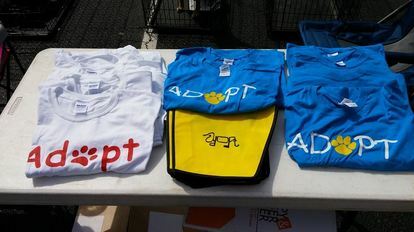 We have t-shirts, key chains, and small totes for sale! 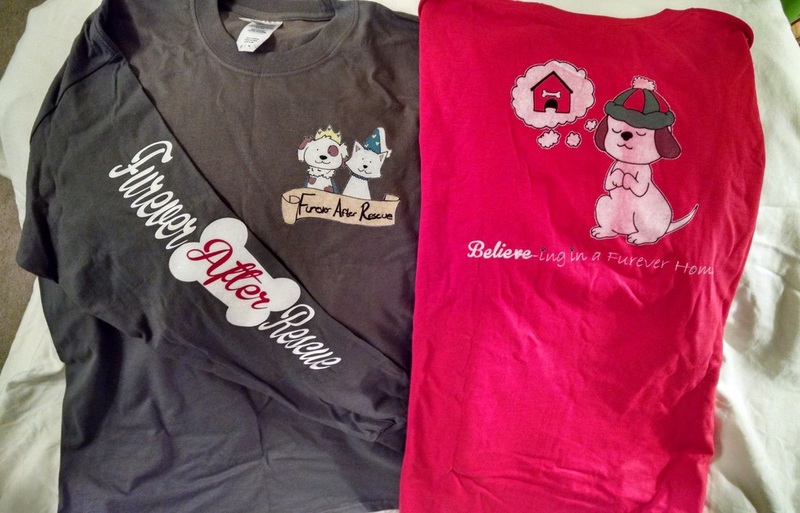 All proceeds help to offset the costs associated with our rescue efforts. We have a limited supply left, so make sure to get yours today!